Former Minister of State for Defence, Senator Musiliu Obanikoro, has reacted to Thursday’s arrest of his wife, Alhaja Morufat, by officials of the Department of State Security Service, and condemned in its totality the different versions of the agency’s narratives. He had issued a statement giving the family’s side of the story before the invitation of his first daughter, Salewa. Sources hinted that the Economic and Financial Crimes Commission (EFCC), upon releasing Mrs. Obanikoro on Thursday, had also asked her to report to their office this Friday and that she should come with their first daughter, whom they want for questioning in connection with their investigation. But in a statement signed by Obanikoro’s media aide, Mr. Jonathan Eze, the former minister urged that his wife should not be maligned in whatever way, neither should facts which are supposed to be sacred distorted to skew investigation, thereby influencing public opinion negatively on a patriotic, hard-working and innocent woman, who is completely apolitical. He said: “We are saddened by the fact that the media was awash with false and conflicting information about the invitation of Senator Obanikoro’s wife. Ordinarily, we considered ignoring these concocted lies but for the sake of the discerning and right thinking public, hence the need to straighten matters. “First, Alhaja Morufat has always been in the country managing her businesses as against the lies that she sneaked in last week from the United States. Second, No documents were found in her possession and the lies that she was arrested while trying to evacuate documents were a fabrication and can only survive in their warped and distorted minds. It should also be noted that the officials only came to invite her for questioning and as against the phrase that she was whisked away; her driver actually drove her in her own car to the office of the DSS. “Third, it was shamefully reported that the DSS were involved because there were so many armed policemen guiding her. This is another fabricated lie. 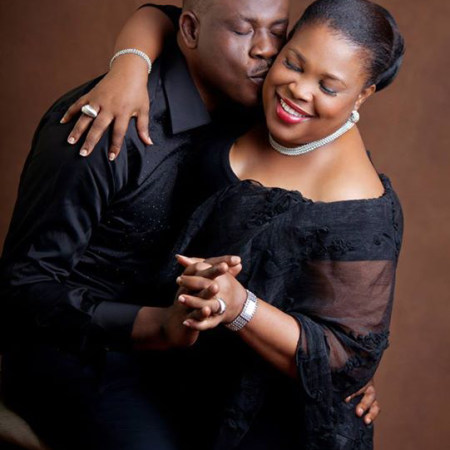 The Obanikoros stopped enjoying police protection from the day he left office as minister and as a woman, who is above board in all her dealings, she does not need one. “Finally, we are using this medium to call on the officials of the Economic and Financial Crimes Commission (EFCC) to desist from persecuting an innocent woman, who has no dealings at all with either Sylva McNamara or MOB integrated that they are investigating. A family source however claimed that the invitation of Salewa in addition to her mum’s has shown clearly that the political slant to the alleged investigation outweighs the fight supposed against graft. According to the source, when the EFCC sought, albeit unsuccessfully, an order to arrest Mrs. Obanikoro, it then involved the DSS, from where it picked her up as part of its own investigation. The source, which consistently queried the involvement of the DSS in the matter, however warned of the growing abuse of court processes and disregard for the rule of law by the present administration, adding that the country might pay dearly for it.